Here are more opportunities to help you with your Toefl writing practice online. At the end of the lesson there are more examples and exercises. 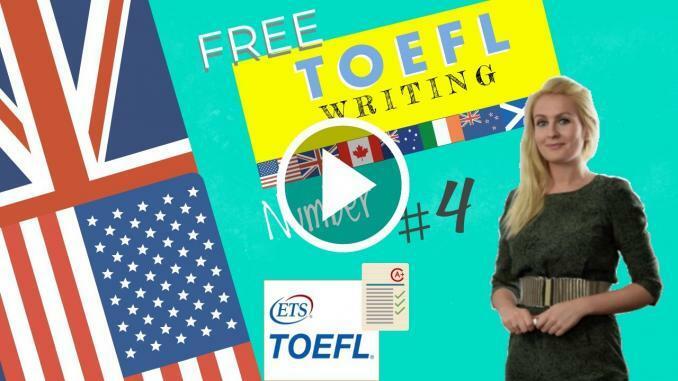 With this TOEFL Writing practice online you can see exactly how to structure your toefl essays correctly. Set 14 — To Show Disagreement. These arguments, one by one, can be challenged. To Choose One Option over Another. Might be the better option. Make/s it a better policy. As in, as with, as was. To Show Evidence, or, Give an Example. A few of these are. For one thing, for another. Essay topics for Toefl writing practice online: Some students work while studying. This often results in lacking time for education and constantly feeling under pressure. Just restate your topic and write that the given problem has causes and can be solved. Write main causes and explain them. In the second paragraph, describe each cause of the given problem, shortly explaining it. Use linking structures, vocabulary to write essays and some words from academic word list. Propose some solutions and say why they should work. Briefly summarize what you have written. Working during education would be difficult for students to concentrate on you should spend about 40 minutes on this task. Some students work while studying. This often results in lacking time for education and constantly feeling under pressure. Toefl writing practice online Model answer . With the advent of online courses and the fact that MA’s are no longer the exclusive pursuit of the intellectual elite more and more people are studying and working to subsidize these studies. This often results in lacking time for education and constantly feeling under pressure. The underlying cause is that not only that college fees are going up but also lodging, in fact the cost of living is expensive. Most people have no choice but to get a part time job or give their studies up completely. I believe that education should be free and open to anyone with the capacity to benefit from it. In these days of the economy being reliant on the service sector education is of paramount importance. The problem being that the cost of clothing and feeding yourself and what with the cost of transport studying is a luxury. The solution would be taxing the rich a little more cutting down on civil servants pay and increasing taxes on junk food. This would mean that the government could pay for the buildings, staffing and upkeep. Apart from the government intervening I think large companies should get tax incentives to pay for future employees to go through college. The other solution is promoting free or very cheap e-learning. Such a form of distance education doesn’t require a lot of resources to be maintained. What’s more, students don’t have to leave their homes and can plan their schedules the way they prefer. In conclusion, I believe that financial commitments oblige students to work, but there are solutions to this problem. Example: I would argue that computers are rather beneficial for kids. Take a look at the following assertion: grades urge students to study. Do you approve or disapprove of this? To advocate your point of view, make use of precise motivations and instances. toefl writing practice online with exercises and examples.